Good credit is necessary for easily securing a home mortgage. But what if you don't have a credit score? 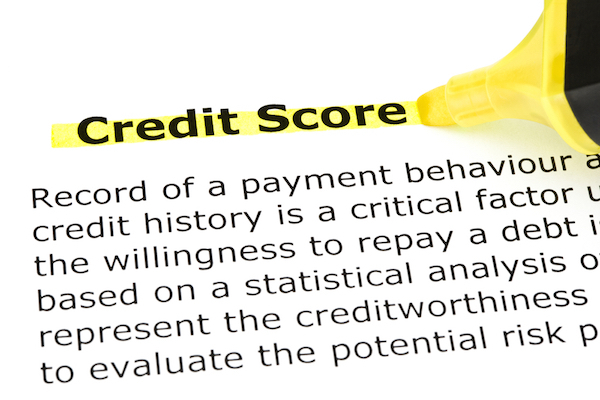 First things first: most people do have a credit score. If you have debt of some kind, like a school loan or credit card, then you automatically have a credit score. Mortgage lenders will check your credit score as part of the underwriting process of deciding whether or not to loan you money. There is a small but mighty segment of the population who have a goal of living debt free. This means they pay cash for major purchases, don't use credit cards, and have paid off all prior debts. Sounds good, right? For instance, people who follow Dave Ramsey's financial plan will pay off all their debt, save money and pay with cash, and eventually what happens is that they have no credit score. Why Is It Difficult to Get a Mortgage With No Credit Score? It doesn't seem fair that people who have zero debt, plenty of money saved, and can pay cash for almost anything, would be penalized when it comes time to get a mortgage. But that's what can sometimes happen due to several reasons. Think back to the financial crisis that started in 2007. Much of the crisis was due to "risky" mortgage products on the market. These not only stopped the flow of capital into the mortgage bond funds, it created a domino effect in the economy. There are 3 major government entities that set the guidelines for most of the mortgage loans in the United States. Those agencies are the FHA, Fannie Mae, and Freddie Mac. When these agencies audited their defaulted loan portfolios, they all found a high amount of those defaults came from borrowers that had qualified using "alternative credit sources." This is the term they use for no credit score or insufficient credit on the credit report. The agencies took action and began tightening their guidelines for those that have no credit scores or have insufficient credit reporting. The servicers that have to collect the payments for these loans have gone even further by adding more requirements and the majority of conventional mortgage servicers will not underwrite a loan with no credit score at all. And that's why it's difficult to get a home loan even if you are extremely responsible with money. You can go through a process called manual underwriting. "No credit score loans require an underwriter to scour every piece of documentation in the file from your paystubs and W2s to the 24 pages of the appraisal to make sure the risks have all been identified. That takes time - about 3 times as long as a normal borrower file. Don't look for quick answers, because the quick answer is easy - no. We want to give that underwriter time to be familiar with all the aspects of your loan file so they can give the approval with confidence. This may even require additional documentation that doesn't seem to make sense to most of us. But let's remember the goal; give the underwriter what they need to feel comfortable with the risks on the loan to issue an approval. From the time the underwriter receives the file, I would give them at least 2 weeks to underwrite it. That probably takes a normal 30-day loan process up to about 45 days. Therefore, keep this in mind when writing a contract closing date." Put at least 20% down on your home. Choose a 15-year, fixed-rate conventional mortgage. Have a strong employment history and personal income to support the loan. Demonstrate 4–6 trade lines that span 18–24 months. These are just regularly recurring expenses such as rent, electric bills, water bills, cell phones, etc. You may be in the minority if you don't have a credit score, but it's still possible to buy a home and get a mortgage loan if you know the secrets.